To reach the rapids in Cataract Canyon you must first float the lazy waters of either Meander Canyon on the Colorado or Stillwater on the Green. Neither are scary sounding but don’t get too complacent. After the confluence of the two rivers, everything changes and depending on levels, the river can surprise you with up to Class V rapids. Water level fluctuations are extreme and the river wears many faces so do your research. Depending on where you put in you will float about 95 river miles. In just 14 miles of those miles, you'll find 29 rapids. The most common launch is from Potash on the Colorado. You can also launch from Mineral Bottom on the Green. Please note, Hite Marina is defunct due to low lake levels and we will shuttle all cars to the North Wash/Dirty Devil take out on river right just upstream from Hite Marina. At present, the NPS website still states that Hite Marina is still the takeout. 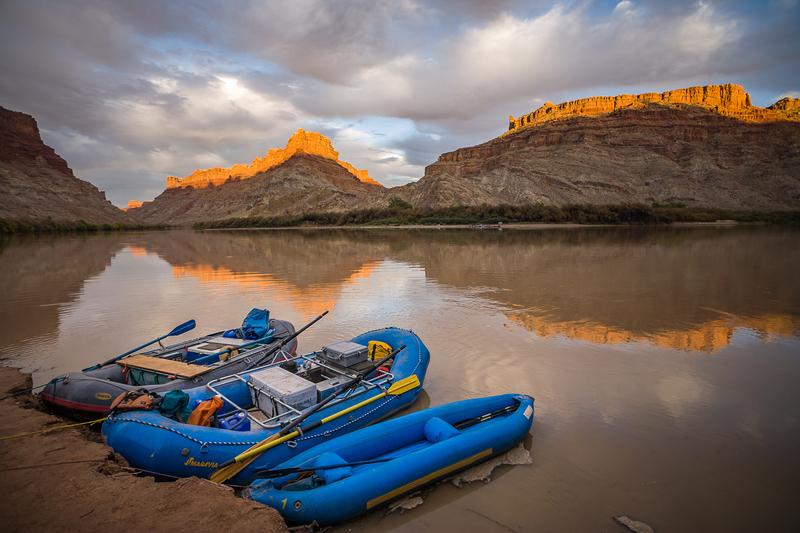 You need a permit for the stretch in Canyonlands National Park and all boaters on Lake Powell must comply with Glen Canyon's mussel regulations. Please read your permit carefully as there are too many specification for me to rewrite here. 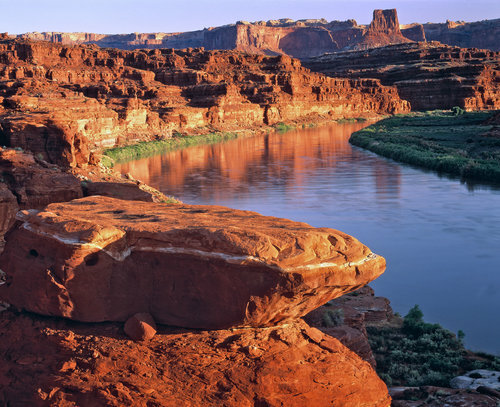 There are no designated campsites along the rivers in Canyonlands. During periods of high water, camps can be difficult to find, especially for large groups. During late summer and fall, sandbars are usually plentiful and make ideal camps. Please make sure you are aware of upstream controlled water releases before your trip as they can affect river levels dramatically. From Potash to Dirty Devil or North Wash: $350 for one car and $230 each for two or more cars. From Mineral Bottom to Dirty Devil or North Wash: $285 each with a two car minimum.